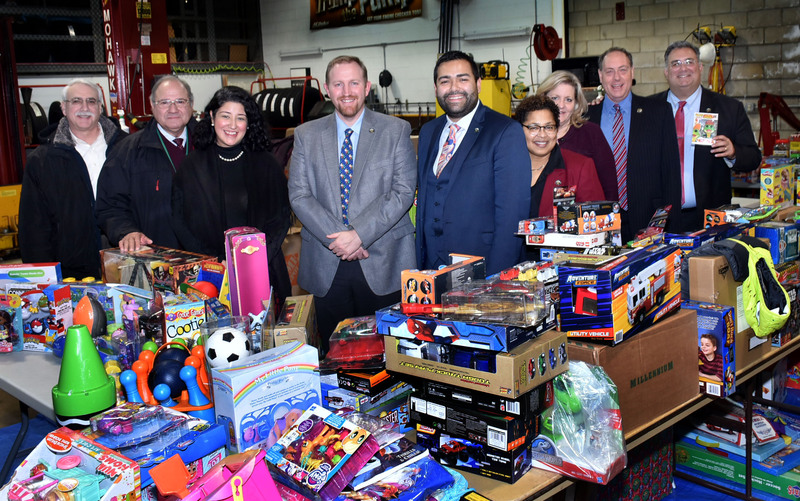 Union County, NJ – The new Union County Office of Community Engagement and Diversity finished its first year of activity with two Holiday Giving drives that collected more than 500 toys for children across Union County, and more than 1,000 pounds of food for the Community Foodbank of New Jersey. The Office of Community Engagement and Diversity works with other agencies to identify volunteer opportunities, coordinate events, and create a network of volunteer organizations to build relationships with the County’s different communities. It is the heart of Chairman Granados’s 2018 “Moving Union County Forward” initiative for Union County, aimed at providing opportunities for individual empowerment and community service. The toy drive continues a Union County tradition. In this year’s effort, Union County employees joined with residents and community partners to donate more than 500 toys. Some of the toys were delivered by County personnel to more than 120 families. Others were donated to the Coalition to House the Homeless, Children’s Specialized Hospital, the YWCA and other community partners for distribution to additional children. The food drive was the first such effort undertaken as a Union County initiative. The Office of Community Engagement and Diversity partnered with the grassroots organization Foodstock in a broader effort to support the Community FoodBank of New Jersey during the holiday season. The 1,000-pound donation from Union County employees was part of a total of 100,000 pounds of food donated to the Community FoodBank under the umbrella of the Foodstock holiday food drive. For more information about the Office of Community Engagement and Diversity contact Nathalie Hernandez, Coordinator, at 908-527-4880 or nahernandez@ucnj.org.